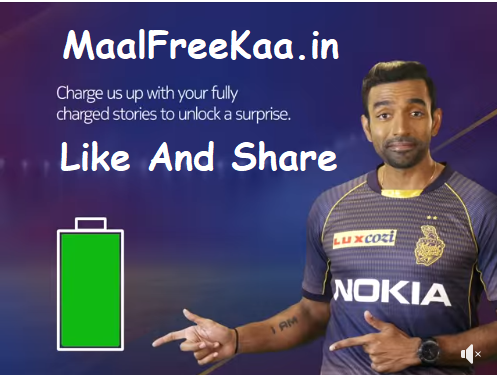 Nokia Show Your Stay Charge for Kolkata Knight Riders And Win Free Tickets. Nokia Fans, show us how you stay charged up for a Kolkata Knight Riders match! Submit your entries using Game On tagging Nokia Mobile and stand a chance to watch the Knights play live at Eden Gardens Fans, how do you charge yourself up before a cricket match? More importantly, how do you keep yourself charged during the match? Tell us in the comments and stand a chance to win exclusive Fan Zone seats at Eden Gardens for the Kolkata Knight Riders vs Delhi Capitals match on April 12 and the Kolkata Knight Riders vs Chennai Super Kings match on April 14. A total of 8 winners will be chosen for this competition. 4 lucky Winners will get free, one ticket each to the Kolkata Knight Riders vs Delhi Capitals IPL Match (Match 1) in Eden Gardens, Kolkata on 12th April 2019. The Organizer will pay, for only the airfare from the winner’s home city to Kolkata and back and a one night’s stay at a hotel in Kolkata. All other expenses incurred by the winners, including airport transfers, local transfers, food and beverages, etc.,shall be borne by the winners themselves. It is clarified that the Winner is eligible only to 1 free ticket as made available by the Organizer under this Competition. It will be the Organizer’s discretion as to the value and nature of tickets allotted to the Winners under this Competition. It also will be the Organizer’s discretion as to the type of airline, ticket and hotel allotted to the Winners.